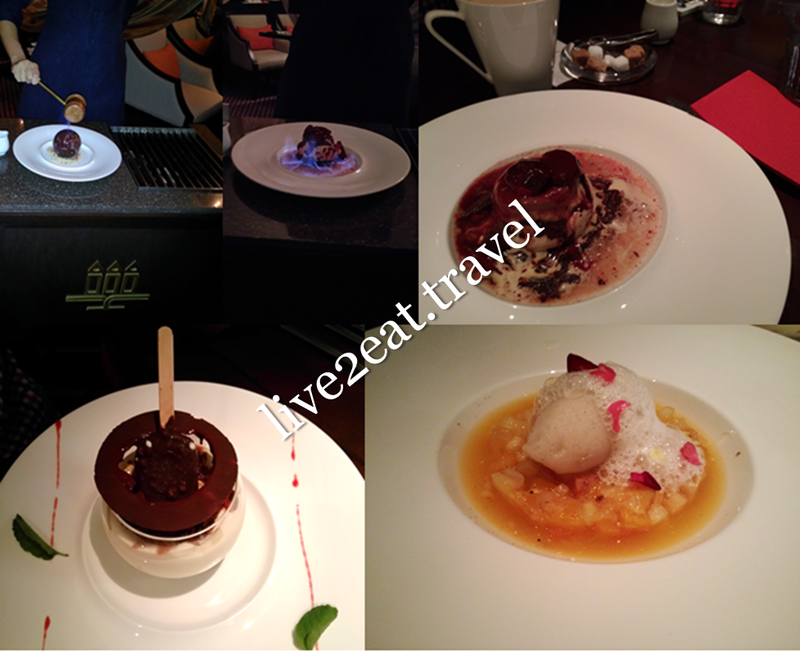 After a picnic at Singapore Botanic Gardens on a weekend evening, we decided to go Dempsey Hill for a cuppa coffee and/or desserts. 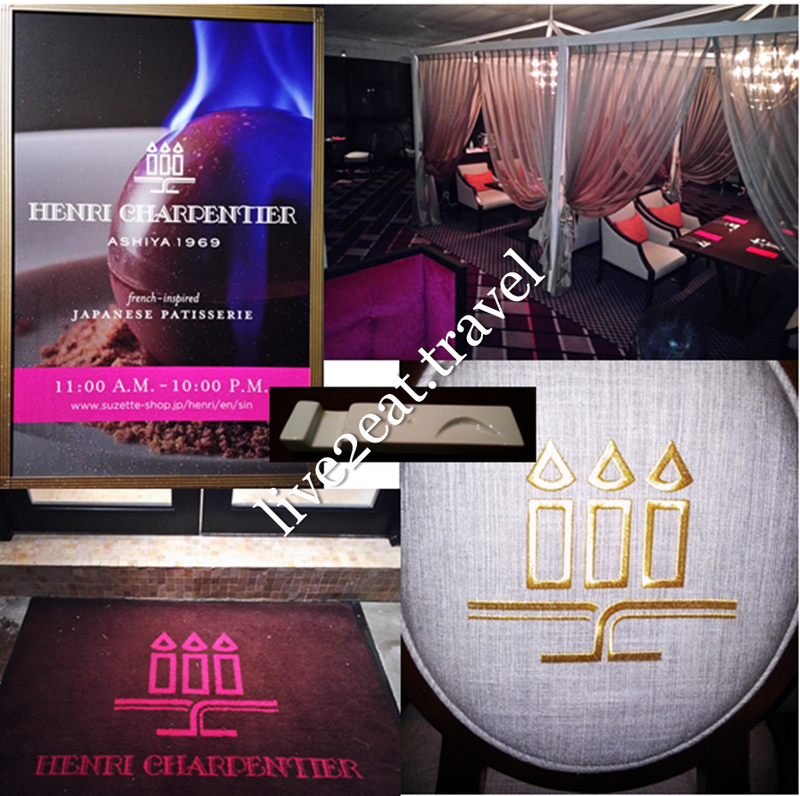 In the end, we settled on Henri Charpentier – a renowned French-inspired Japanese patisserie since 1969. Run by Suzette Corporation, this is its first foray outside Japan where there are 82 branches. Opened last year, the 4,400 sq ft place restaurant was quiet when we visited. Walking down a covered walkway with fuschia carpet, we stepped into an extravagantly furnished place decked in royalty purple and more fuschia. Chandeliers and drapery hanging from the ceiling, together with comfortable armchairs and couches on heavily carpeted floor, screamed lavish opulence. I started with Blend Coffee while the rest mostly had Royal Milk Tea. Mine was understandably mild-bodied with a faint aroma of roasted beans, tinge of bitterness and muted acidity. Just like how Japanese coffee is and unlike the strong cup of tea. Could smell a nice aroma of the generous amount of tea leaves from across the table. A dining companion lamented its bitterness and added many sugar cubes while another could not sleep that night due to the effects of the caffeine, too much. 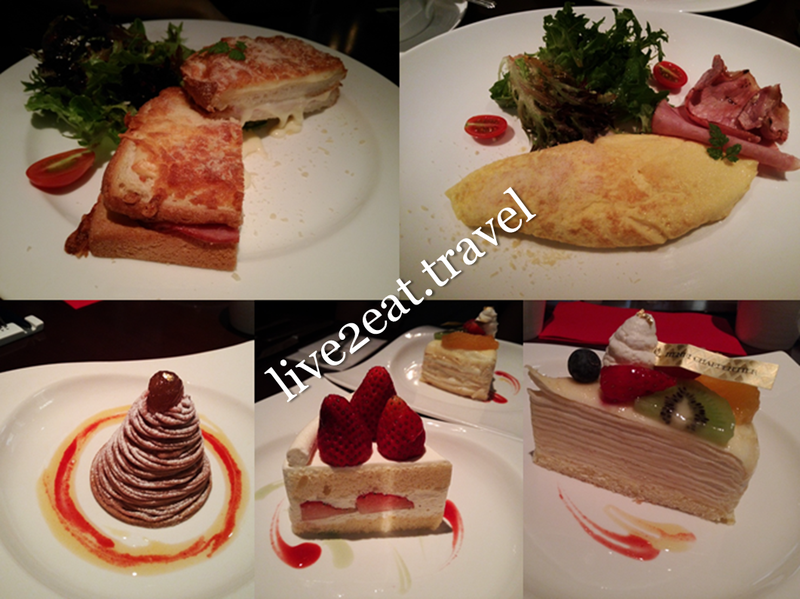 For sharing, we ordered Croque-monsieur Parisien and Your Own Special French Omelette from the sandwiches and light meal menu respectively which were surprisingly cheaper than items on its special dessert menu. My dining companions raved about the former while we could neither rave about nor fault the latter that came with ham, cheese and mushrooms. Loved the distinct taste and texture of chestnuts in Mont Blanc – fragrant buttery almond financiers with chestnut, whipped cream and rum chestnut cream. One dining companion raved about Strawberry Shortcake (I have had better and cheaper ones) and found Mille Crepe a tad sweet, preferring Lady M's. The former was too milky for my liking with the almond sponge cake not as airy light and fluffy as I expected. We also tried more-visually-appealing-than-delicious Dome, Aquarium and Flower Shower from the special dessert menu. Blue flames engulfed Dome to melt the chocolate sphere enclosing a chocolate parfait biscuit of fraise d'amande into an ugly mess before strawberry sauce was poured over it. Passion fruits and strawberry puree caramel sauce was poured into Aquarium – two types of chocolate nestled between vanilla flavoured cream sitting in a glass, before a stick of mini ice-cream was placed in it. Flower Shower fell flat on most of us due to the overwhelming taste of what we believed was cinnamon in the lychee sorbet topped with almond breeze foam sitting on mixed fruits marinated with orange juice, spice and mint. Update: The patisserie has moved to Orchard Central and Tanjong Pagar Centre.